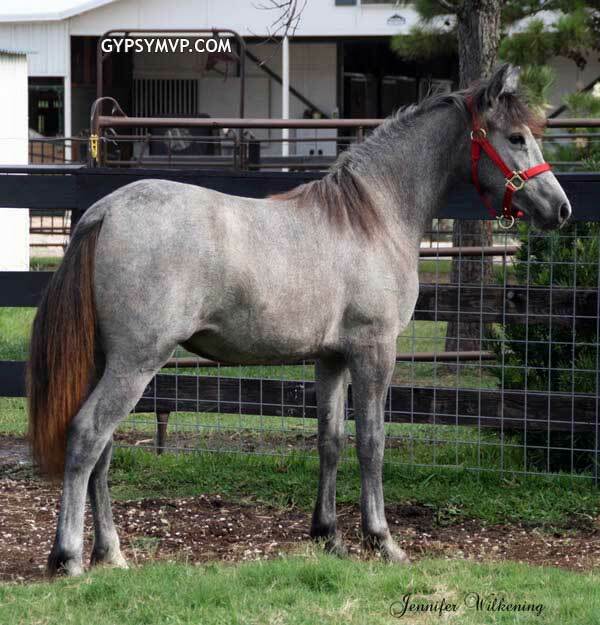 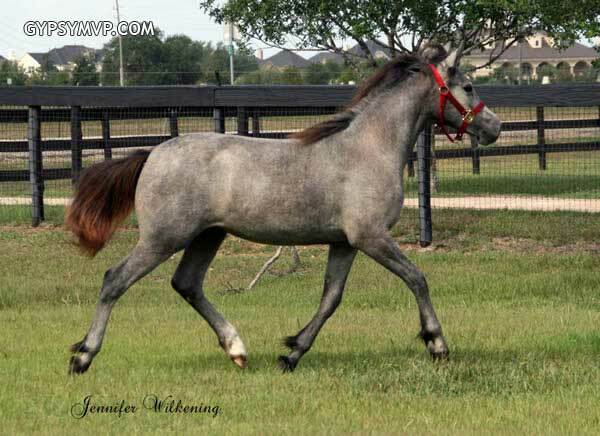 Stormy was born August 21, 2010. 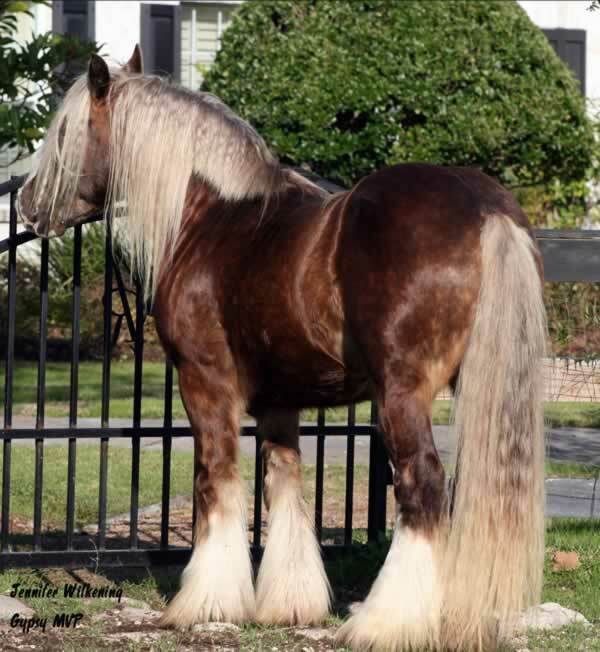 She is a fine example of what a Gypsy Sport Horse should be. 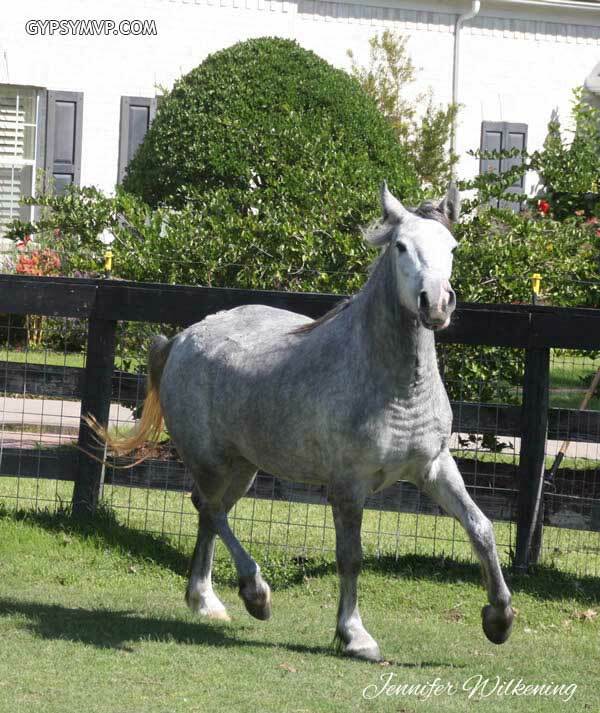 She has a short back, apple but, and a very refined head. 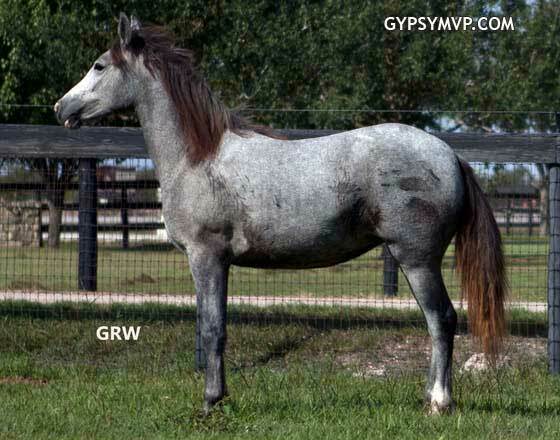 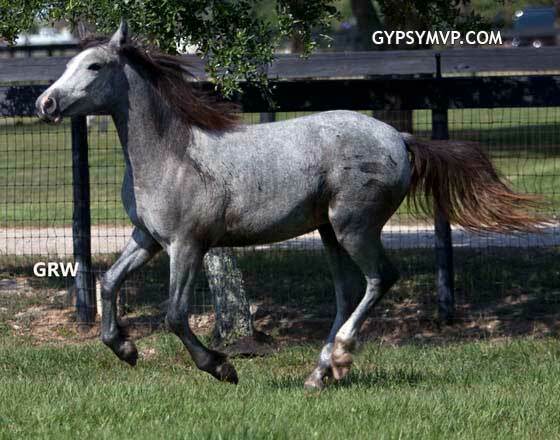 She is half sister to Savannah. 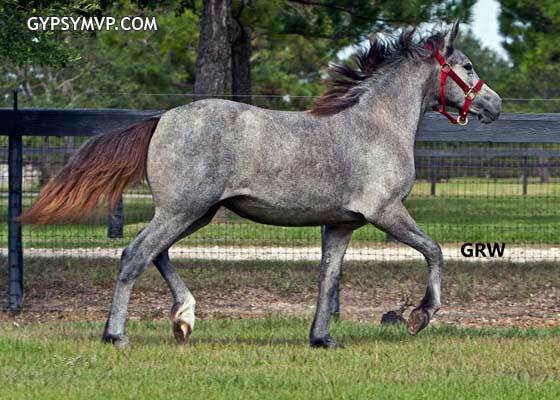 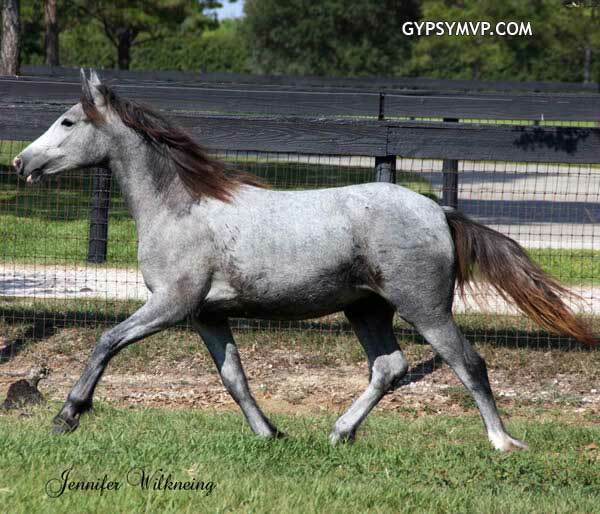 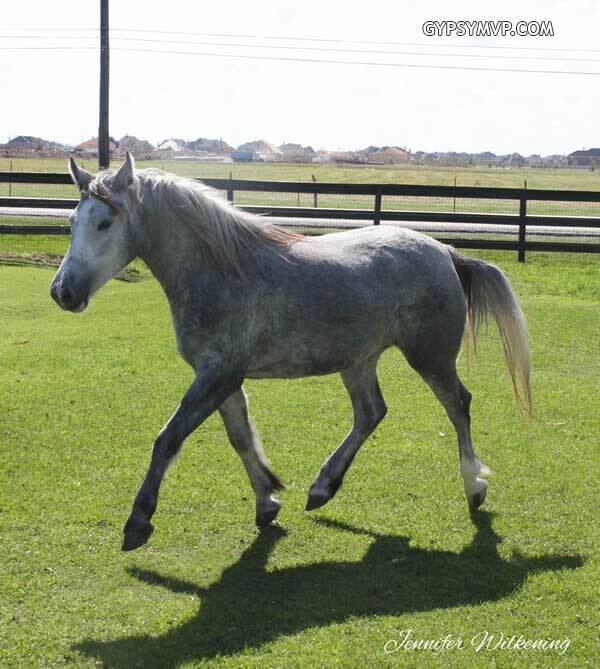 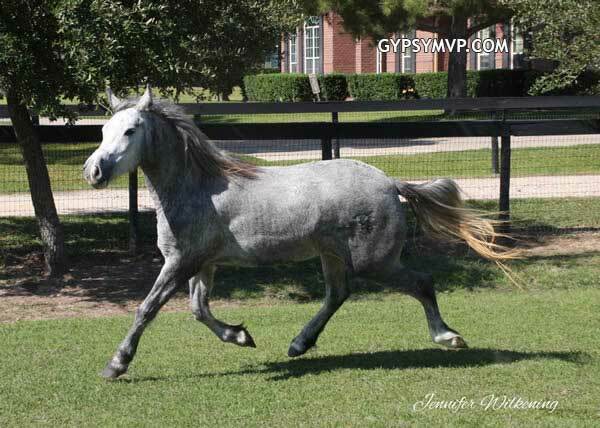 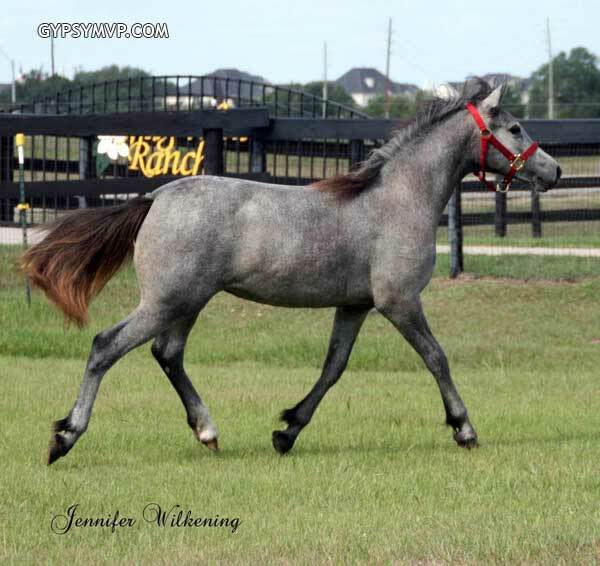 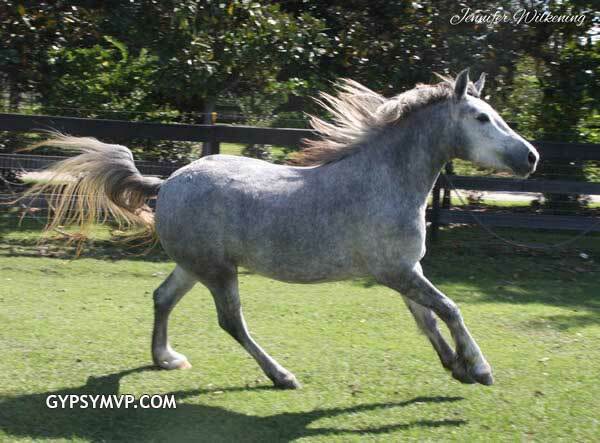 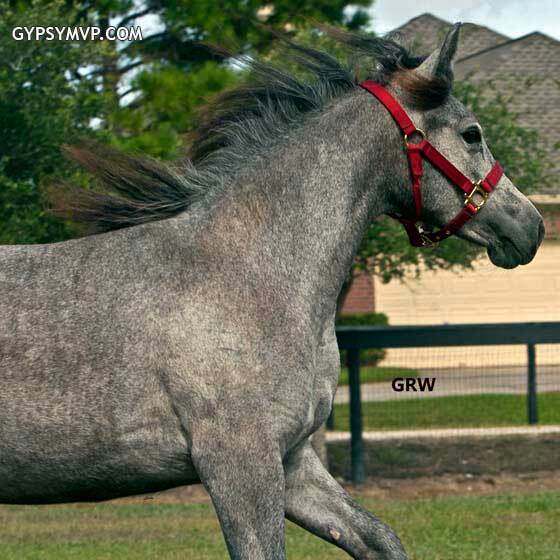 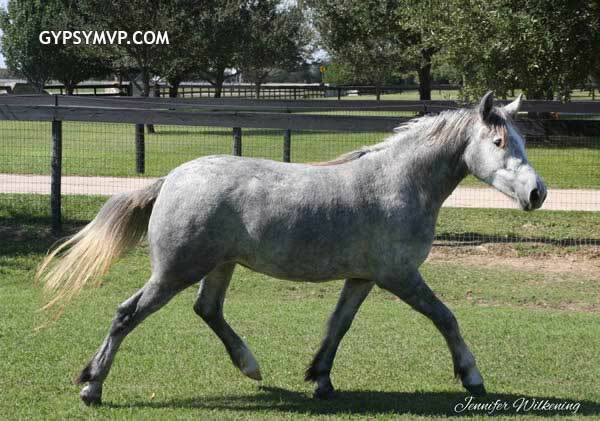 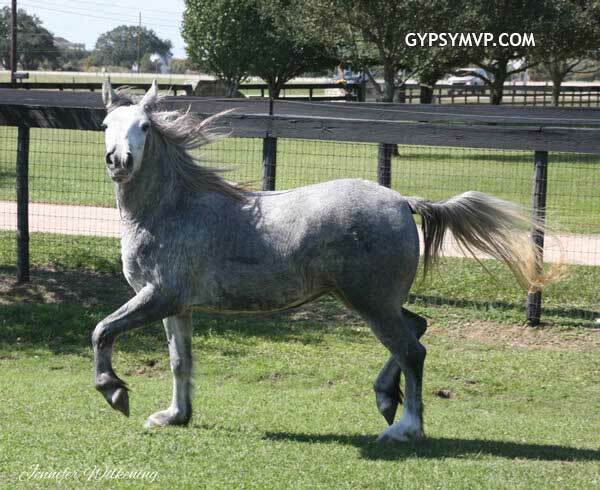 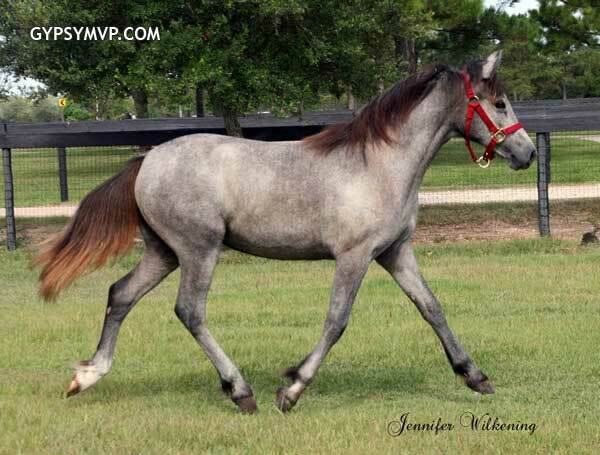 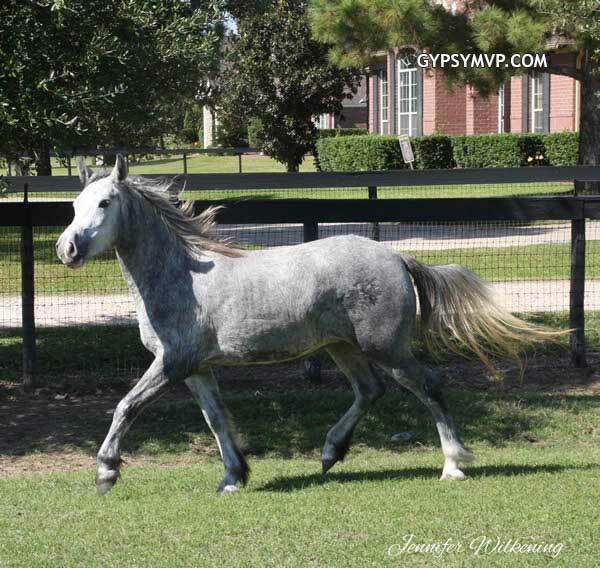 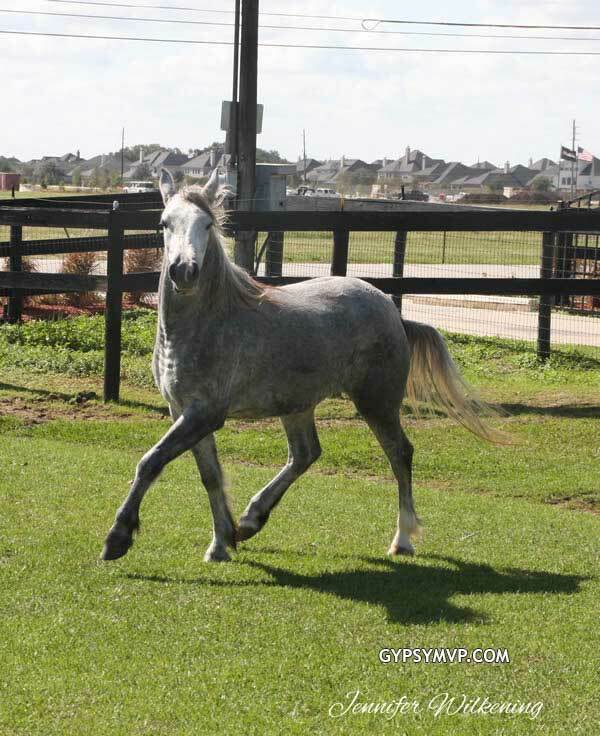 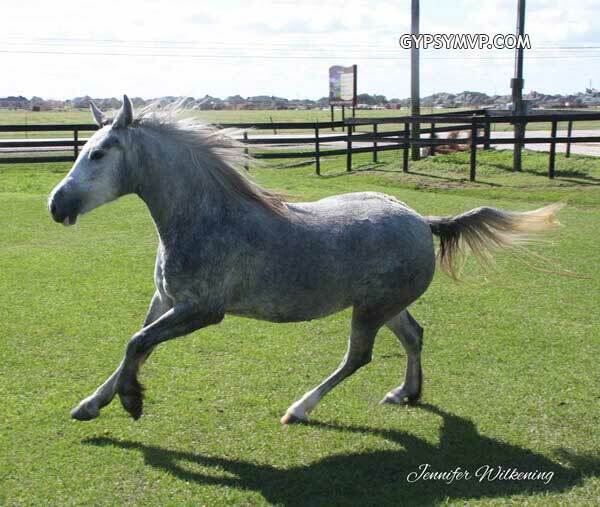 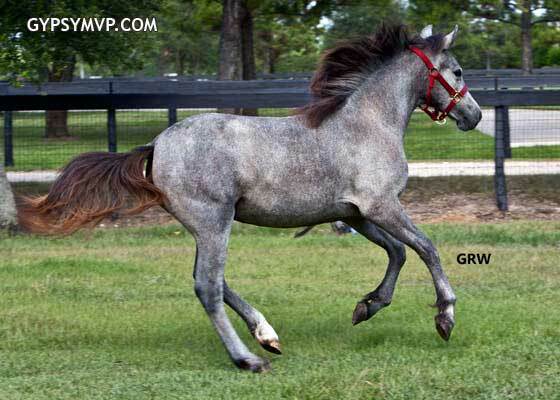 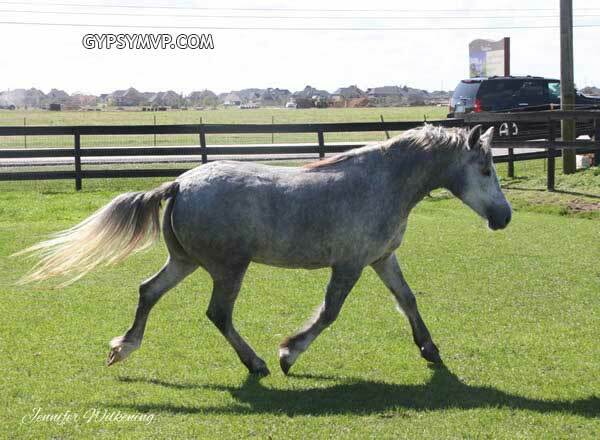 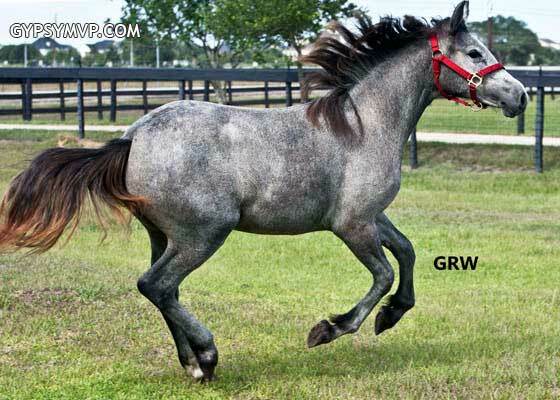 She has excellent movement and will be a fancy show horse for someone. 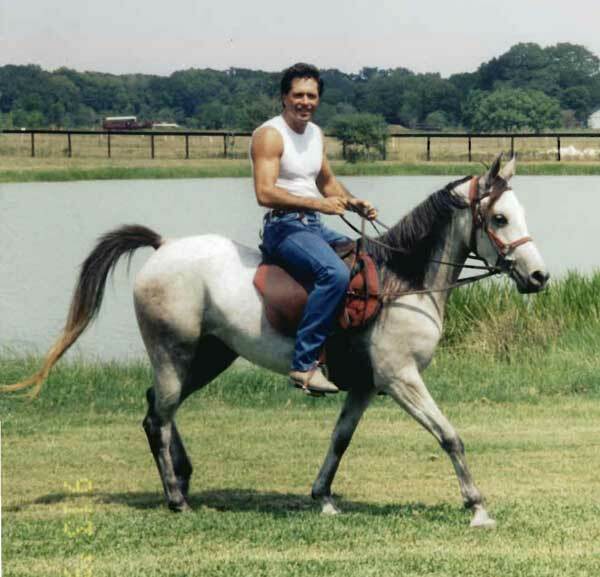 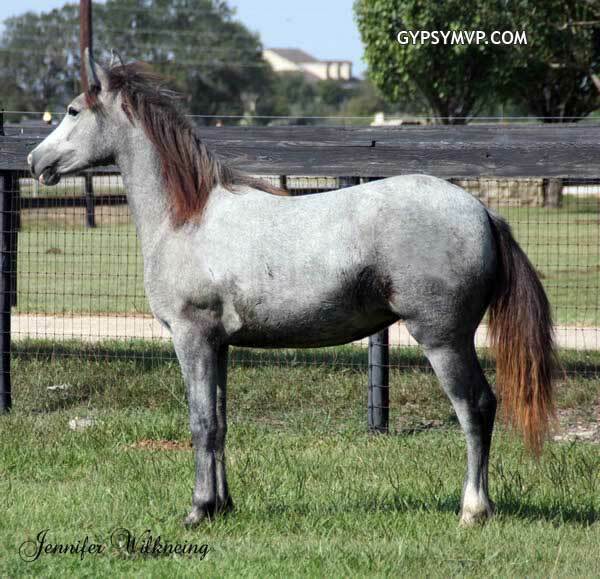 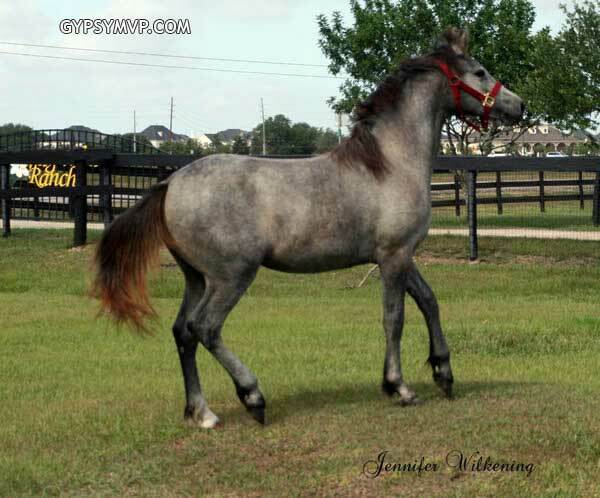 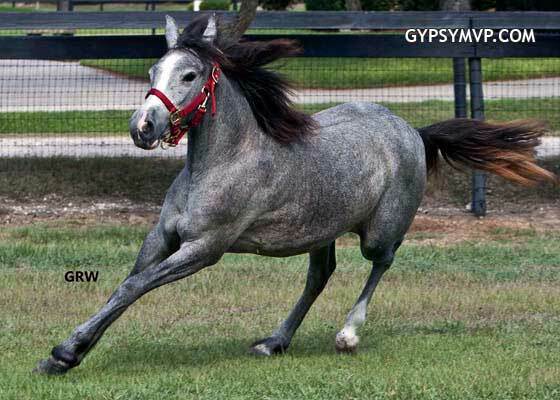 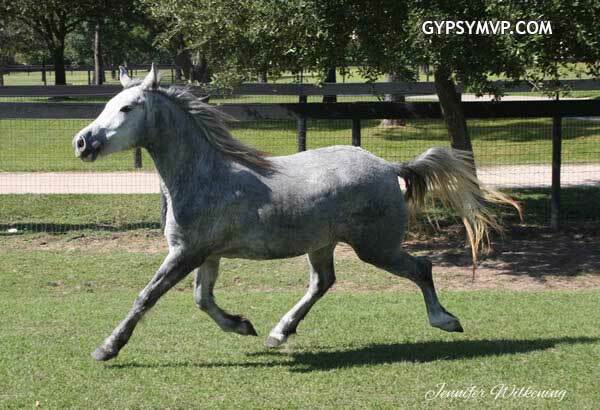 Her sire is the beautiful stallion "A Touch of Charisma" and her Dam is "Lexus" who is a great pedigree registered Polish Arabian mare who has off the scale famous racing bloodlines. 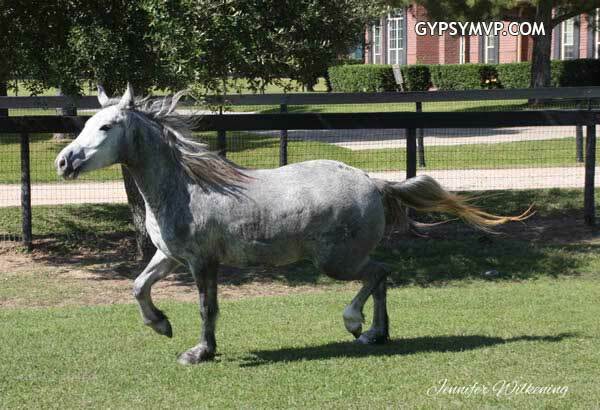 This is Lexus, the dam of Stormy. 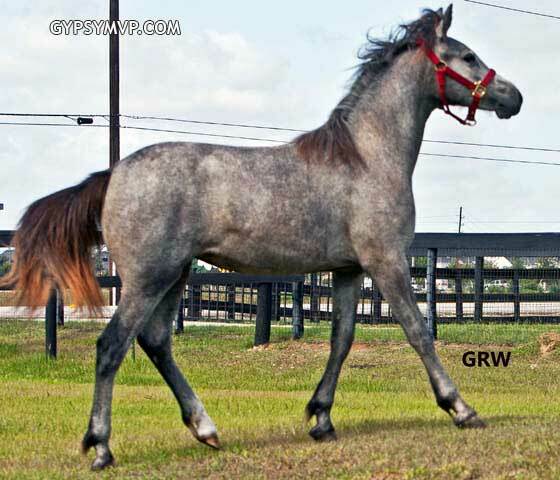 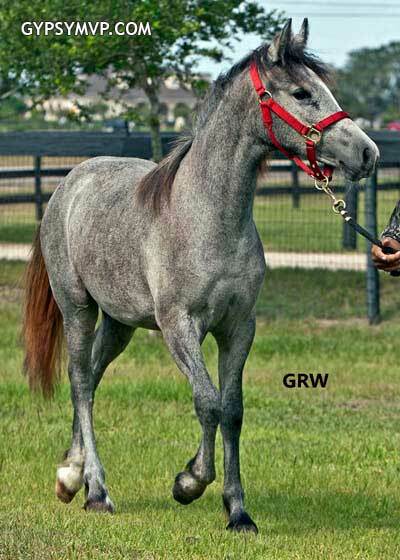 She is a highly pedigreed Polish Arab from racing lines.